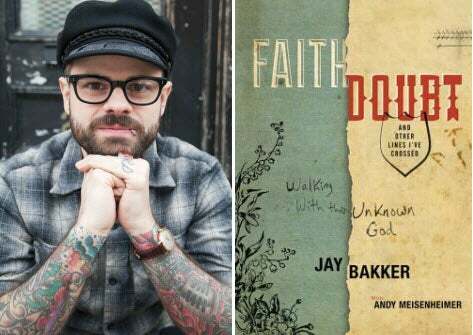 Innovative pastor Jay Bakker thought he knew God: the God who rigorously patrolled every aspect of his life, the God who chose sides, the God who was always disappointed in him. But through the transformative power of grace, he discovered the God who loved and accepted unconditionally, freeing him to ask the hard questions and delve into one of Christianity's greatest taboos: doubt. In FAITH, DOUBT, AND OTHER LINES I'VE CROSSED, Jay voices the questions that Christians are thinking but won't ask as he chronicles his doubt about God, the Bible, heaven and hell, church, society, relationships, grace, and love. In the process he encourages all of us to welcome "the other", to read the Bible differently but better, to draw together in community, and to seek an unknown God of limitless grace. Brutally honest but full of grace, Jay invites everyone to cross the line, to dig deeper, and to discover a faith that is beyond belief.